Talent Management is an intricate as well as a crucial process and is, therefore, very difficult to handle. Every organization needs to address the talent gap that affects its growth prospects. It is the responsibility of HR managers to identify the talent gap and forecast the pitfalls based on the changes taking place in the organization. They need to focus their plans and initiatives to help improve the availability of the needed talent pool. While devising a plan for talent management, they have to keep in mind certain factors due to which employees change their job abruptly and frequently. Liberalization, Privatization and Globalization (LPG) restructuring the job market. Unforeseen rapid changes in the world economy. Strong and incessant economic growth. Rapid progress in science and technology diversifying the skill requirements of the employees. Rise in outsourcing and off-shoring. Abrupt economic slowdown and recession. Cascading effect of the above on employment potential resulting in wage cuts, layoffs, pink slips, etc. 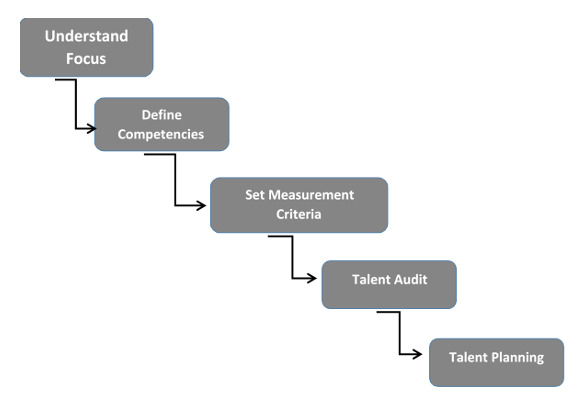 Identifying the goals − This is the cardinal stage and pivotal to the success of the entire talent management process. The first step is to identify what the organization aims to achieve and what characteristic qualifications and skills the recruits should possess to realize the goals. 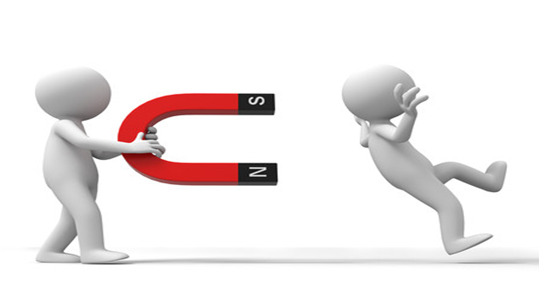 Attracting the talent − The main aim of talent management process is to hire the best talent for an organization. Organizations at this stage make effort to attract the best talented people from the job market. 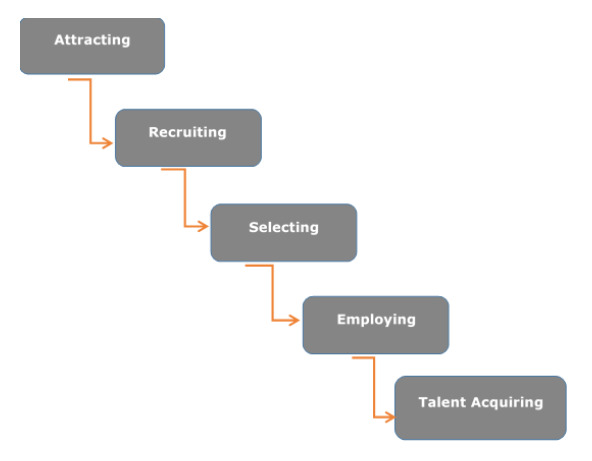 Sourcing the talent − In this stage, the talent management personnel looks for appropriate sources in the job market or industries where the targeted people can be hired or recruited. Recruitment − This is the first stage of hiring the best talented people for the organization. Skilled and qualified people are invited to join the organization. Selection − This is the stage where the objective of talent management becomes a reality. It is when truly talented people are recruited or hired in various roles. Training and development − At this stage, the selected recruits are provided with necessary training to make them productive and efficient to work towards the goals of the organization. Retention − The notable objective of talent management is not only hiring talent but also ensuring their retention in the organization. Factors upon which the retention rate depends are attractive pay package, job specification, safety and security of the employees, personal development of an employee, recognition and culture of the organization, and the fit between the job and talent. 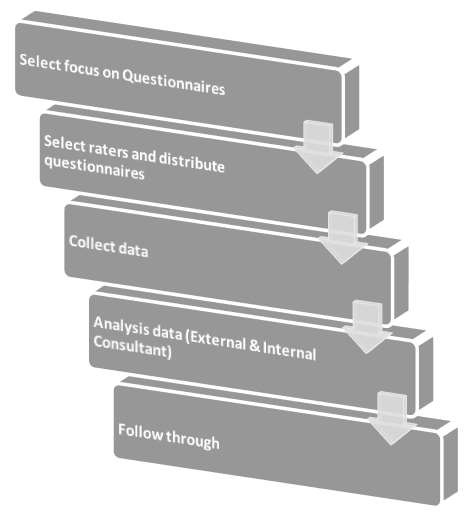 Assessment − Periodical assessment of employees’ skills, abilities, improvements and competencies enable the organization to know if they are fit for continuation and promotion. 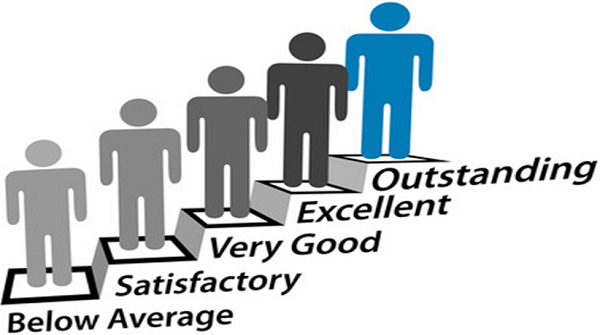 Performance appraisal − It is a measurement of the actual performance of the employees in the job. It enables the organization to ascertain if the person can be loaded with extra responsibilities. Promotion − It refers to job enrichment. It keeps the energy level high of the employees and they are inspired to continue to work for the organization. Career planning − If an employee is found befitting to handle work pressure and extra responsibilities well, the management needs to plan his/her career so that he or she feels elevated and rewarded. Such recognition and rewards inspire the employees to remain with the organization for a long time. 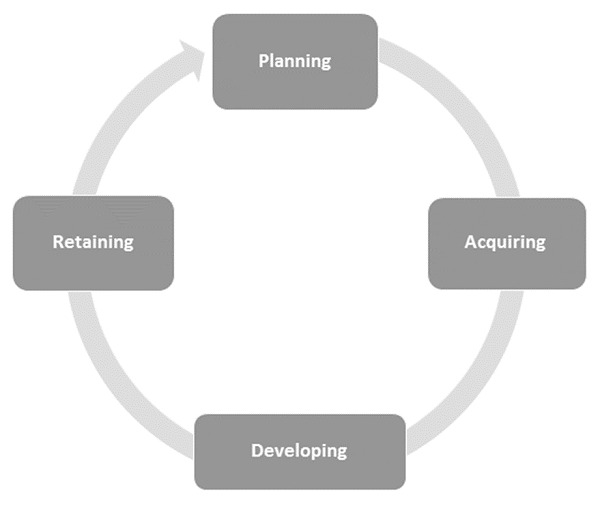 Succession planning − This deals with the replacement of people within the organization. Employees who have given their best to the organization and have been serving for long deserve to hold higher positions. Exit stage − This is the final stage of talent management process that ends in the retirement of the employees and they are no more a part of the organization. In this chapter, we shall discuss the relationship between Talent Management and Performance Management. Both are two integral parts of human resources management, and are focused on the same organizational goal – securing human capital contribution and performance. Performance management is concerned with the present – here and now; whereas talent management focuses on securing the future – tomorrow. 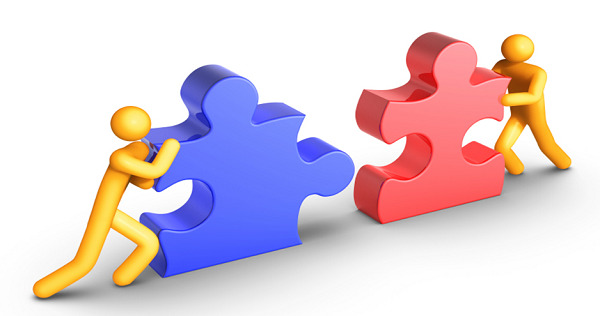 The process and activities involved are completely different between these two programs however the targeted outcome for the organization is the same. Talent management aims at retaining the efficient and high-performing employees, while performance management aims at setting the performance objective, activities, and target according to the individual accountability plan and measure performance periodically – yearly or quarterly. Performance management includes activities such as planning work, goal setting, monitoring or continuous progress review, frequent communication, feedback and training for improved performance, implementation of employee development programs and rewarding achievements. Planning and Setting Goals − Performance management includes proper planning and setting performance expectation and goals for individuals and teams to redirect their efforts and skill towards realizing organizational goals. There should be measurable, understandable, verifiable, and achievable performance elements and standards. Monitoring or Evaluating Performance − This involves periodical assessment or measuring of employees’ performance, providing feedback to employees and work groups on their progress towards realizing their set goals. 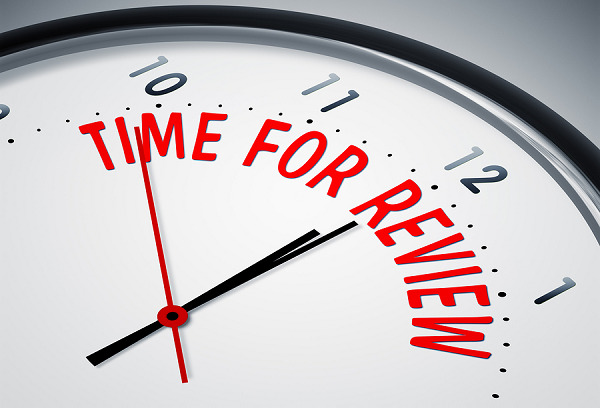 Continuous progress review is helpful in identifying unacceptable performance at any time. Developing and Enhancing Capacity − Performance management provides training, gives assignments to acquaint the employees with new skills, and improves the work processes or methods to enhance the capacity to perform. 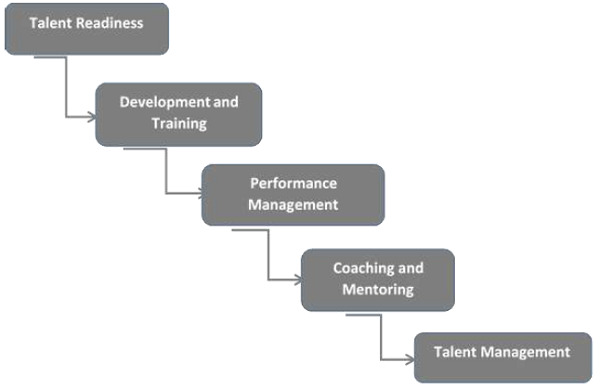 Performance management processes provide a good opportunity to identify development needs. Rating or Evaluating Performance − Evaluate or assess employees or group performance against set standards or elements in a performance plan. Based on the evaluation, assign a summary evaluation or rating record. Rewarding Performance − The last stage of performance management is to have a culture of rewarding employees, both individually and as members of group for their performance towards the realization of organizational goals and objectives. The objective of performance management is to build a high performance culture for both individuals and teams in an organization so that they jointly take the responsibility of improving the business processes, and at the same time increase overall productivity. 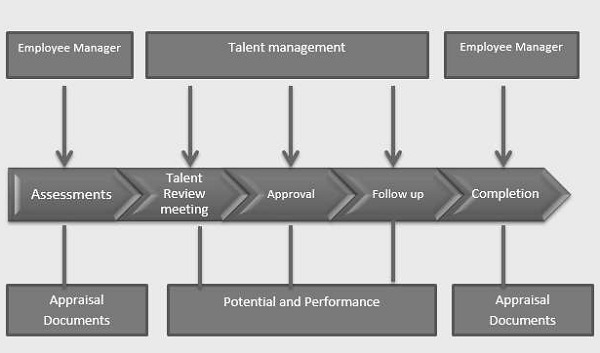 Following are some important objectives of Performance Management with reference to talent management. Drive the employees towards achievement of superior standards of work performance. Support the employees in identifying the knowledge and skills required to perform the job efficiently. Motivate employees by encouraging employee empowerment and implementation of an effective reward process. Promote a two-way system of communication between management and the employees for clarifying expectations, roles and accountabilities, functional and organizational goals. 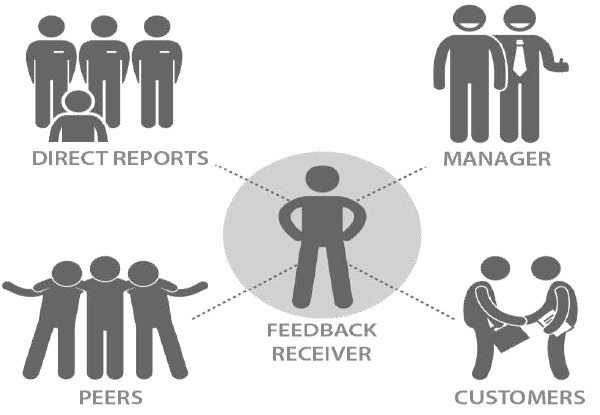 Provide regular and transparent feedback to improve employee performance. Identify the barriers or problems to effective performance and resolve those barriers through constant monitoring, training, and development interventions. Promote personal growth in the career of the employees by helping or supporting them in acquiring the desired knowledge and skills. 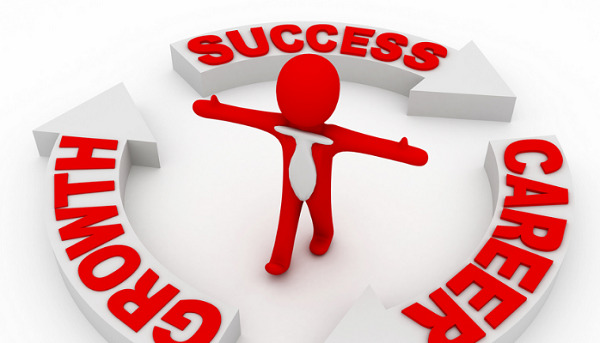 Increase the self-esteem of the employees and enhance their self-insight and development. Ensuring proper understanding of objectives and facilitating effective communication throughout the organization. 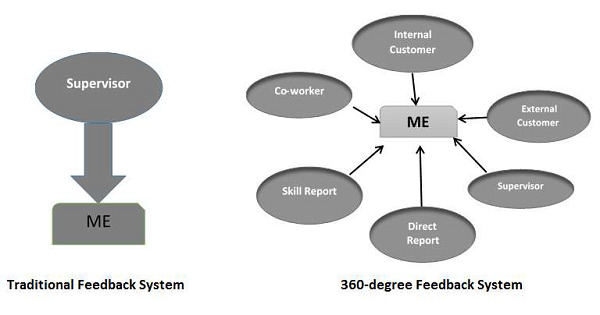 Developing a healthy relationship between an employee and the line manager based on trust and empowerment. Ensuring each employee understands what is expected and equally ascertaining whether the employees possess the required skills and support to fulfill such expectations. Ensuring employees understand the importance of their contributions to the organizational goals and objectives. Better and timely differentiation between good and poor performers. Enhancing the competence of the employees and enabling the managers to gain insight about their subordinates. Facilitating organizational changes and paving ways for appropriate administrative actions. Integration of learning with talent management is another important tool in today’s corporate learning and development. Integrated talent management encompasses processes for performance management, compensation reviews, succession management, leadership training and development, and recruiting. Talent management is a broad-based approach and the practice of viewing all employees as talent is increasingly being recognized. 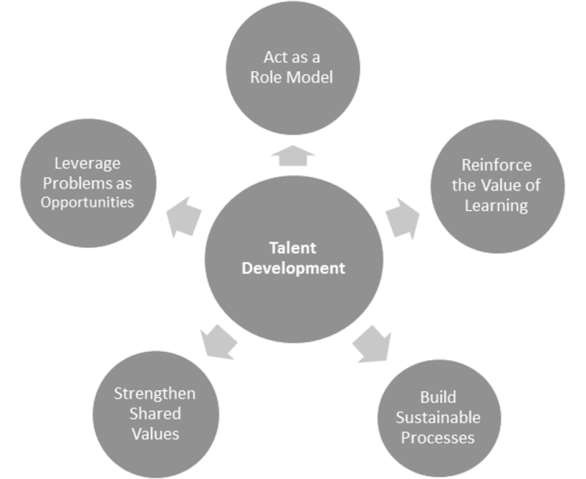 Regular training and development processes keep talent intact for the organization to grow. Identify Training and Development Needs − An organization needs to determine training and development requirements for the employees to achieve a desired target. Also, there is a need to specify the nature of training to be provided to each category of employees within an organization. Established Objectives − Organization should have a specific objective for training and development. Clear summarized objective must be formulated. Select Training and Development Method − Training and development methods should be selected as per the job requirements. It could be on-job training or off-the-job training. Implement Training and Development Program − Human resources training and development programs should be implemented by qualified and successful trainers. Trainers must be made aware of the organizational objectives. Evaluate Training and Development Program − There should be thorough evaluation of ongoing training and development programs, which helps in delineating improved measures. Training and development is an ongoing process in an organization to achieve organizational goals to improve the skill and knowledge of employees. There are two methods of training and development. On-the-job training is provided to employees while working. It is provided to both new and experienced employees through learning at the personal level or by observing subordinates or managers perform the job and trying to learn from them. In other words, on-the-job training is teaching the skills and competencies essential to perform a job within the workplace or work environment. It is a flexible method as it allows employees to learn job requirements while working. It is inexpensive as there are no expenses incurred in training on the job. It uses the existing equipment, machinery and other elements required for learning the job. It can be structured using hands-on application supported by classroom type instruction. The trainee is highly motivated and encouraged to learn. It provides a practical approach to learn the job. Employees have to take active participation in the job. There is no work disruption because trainees are productive during learning. It is carried out by experienced employees. Following are some of the methods used for on-the-job training. Job Rotation − The trainees move from one job to another to acquire knowledge and experience from different assignments. It enables them to understand various problems faced while working. 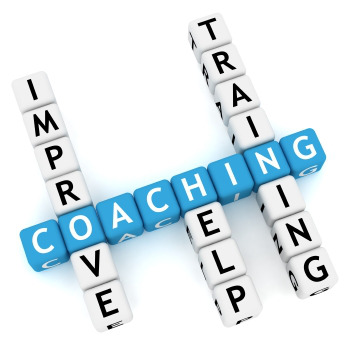 Coaching − It allows trainees to work under the direct supervision of a supervisor who provides feedback to the trainee. 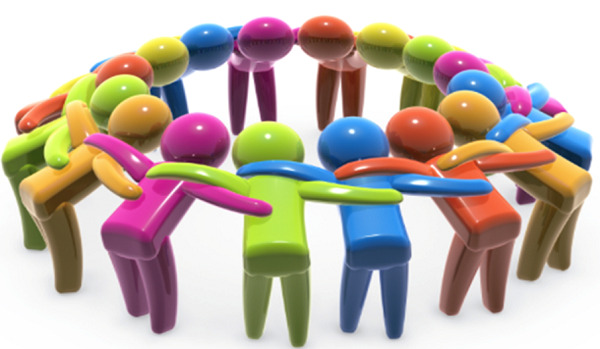 Group Assignment − Under this method, a group of trainees are given work assignment to work by discussing and interacting. This inculcates and improves team spirit. Off-the-job training provides limited knowledge and experience to the employees as the training is concerned only about learning the job requirements. The overall development of employees is carried out only through off-the-job training. The type of training that is undertaken at a site away from the actual workplace for a particular period is called offthe-training. It aims at providing a stress-free environment to the employees so as to enable them to concentrate only on learning. The trainees feel free to express their views and opinions during the training session. It enables them to explore innovative ideas. Every process has its own do’s and don’ts. To maintain a balanced growth, the organization needs certain things to practice and some other things to avoid. 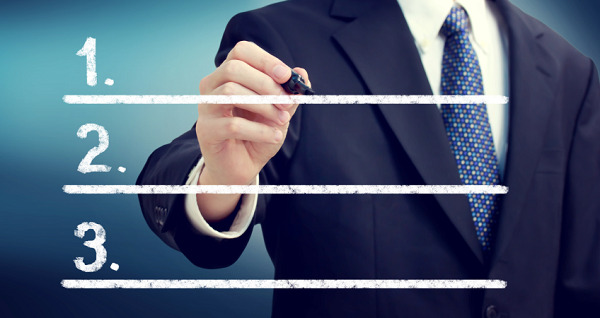 Following table lists the do’s and don’ts in talent management. Adoption of a single language across the organization Don’t ignore the organization goal. 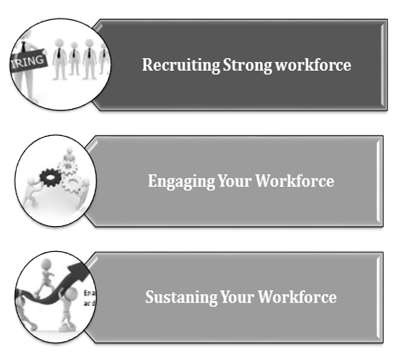 Following are certain tips to improve talent management and HR function of the organization. 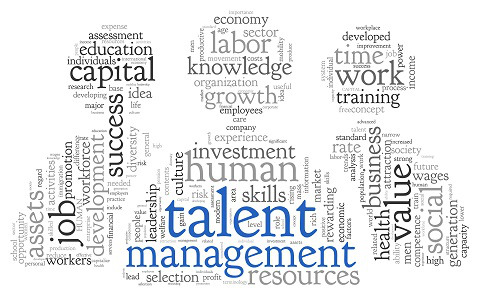 Understand the purpose and importance of talent management. Understand the organization’s future business strategy. Identify the talent gaps and requirements to drive business. Design the talent plan and close the gap. Take accurate hiring and promotion decisions. 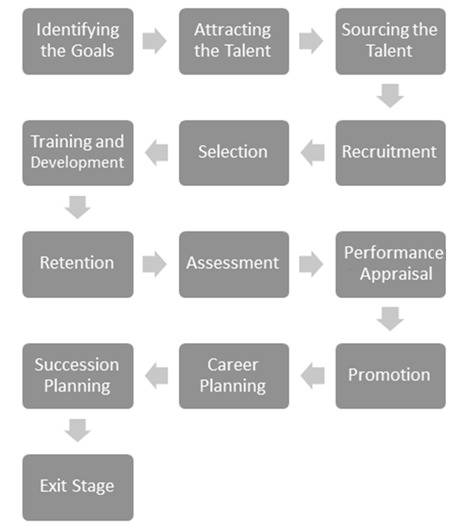 Focus on the element required on succession of talent management. Develop talent to enhance performance. Measure the business impact on workforce effectiveness before and after implementation. Design the reward and recognition policy. Arrange training and development program for upgrading employee skills. 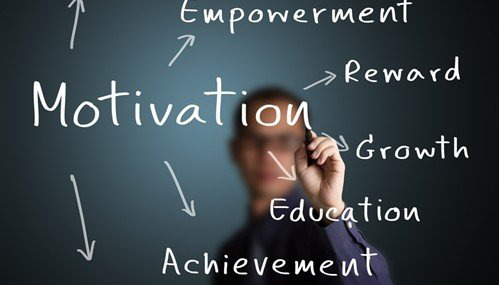 Motivation plays an important role for employee job satisfaction and retention. Only motivated employees stay with the organization for long term. Employees feel secure through proper motivational techniques. 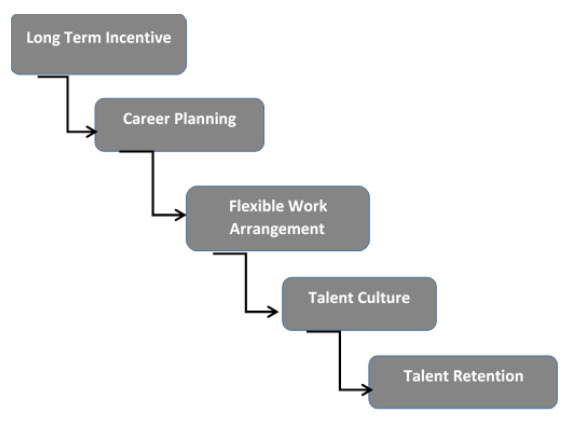 Employee retention system takes several steps to motivate employees. 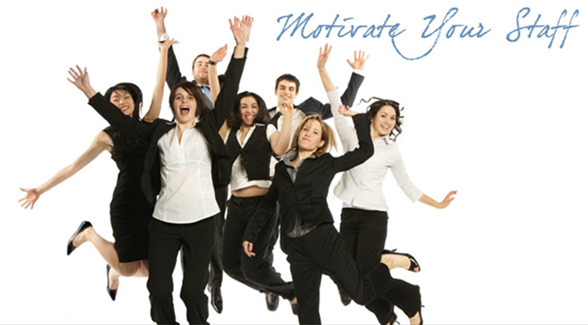 Following are certain tips to follow to increase the motivation level of employees. Managers or supervisors should send appreciation mail to employees for good job done. There should be incentive, cash prize, or some perk for achievement to motivate employees. Performance appraisal on time is also an important factor of motivation. Role play or outdoor tours also create energy and freshness. Having a proper channel of communication of one-to-one interaction of HR department makes employees feel valuable. HR department must conduct motivation activity on work premises. Various incentive schemes for employees should be introduced. Expectancy Theory explains the process of how an individual processes different motivational elements. 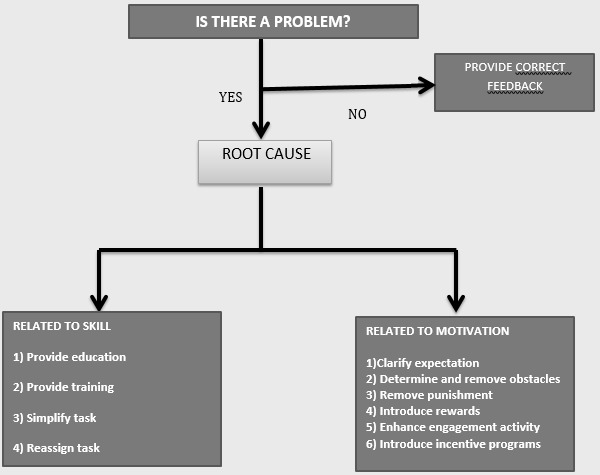 Expectancy theory is a motivation theory which was first proposed by Victor Vroom of the Yale School of Management. Vroom’s Expectancy Theory assumes that behavior is a product of conscious choices among available alternatives whose intent is to maximize profits or pleasure, and minimize loss or pain. Vroom believed that individual factors of an employee such as personality, skills, knowledge, experience, and mettles influence his/her performances. He stated that effort, performance and motivation are linked in a person's motivation. He uses the variables Expectancy, Instrumentality and Valence to account for this. Instrumentality − It is an objective analysis of the job undertaken. It is based on the idea that if you perform extremely well, a valued outcome will be received. To be objective and particular about the outcome one needs to have a clear understanding of the relationship between one’s performance and its outcome. Employees should have trust in the people they work with. Transparency of the process determines the outcome. Valence − It refers to the emotional orientation which employees hold with respect to outcomes or rewards for the job done. The depth of the want of an employee for extrinsic (salary, promotion, free time, benefits) or intrinsic (satisfaction) rewards. Management must unearth what employees appreciate. The three elements are important behind choosing one element over another because they are clearly defined: effort-performance expectancy (E>P expectancy) and performanceoutcome expectancy (P>O expectancy). Different people with differing mindsets behave differently to different situations, be it in an organization or in the society. Many people are quite objective in their approach to any work. They work better, when they have some concrete facts in front of them i.e., what to do and what not to do. Upon this basis, the object oriented theory thrives. Object-oriented approach requires rigorous process to do the right thing. It is a new way to think about organizational problems based on real work concept. The basic construct is an object, which combines both data structure and behavior. What is object? It is the key to understand object oriented theory. Object can be anything such as employees in the organization, computer, machine, it is called as bundles of variable to and related method. Message − It is one kind of media to pass the information between objects. Object oriented theory shows that, there should be a proper communication channel between employees and top management so that they can share ideas, knowledge and their problem with the management. 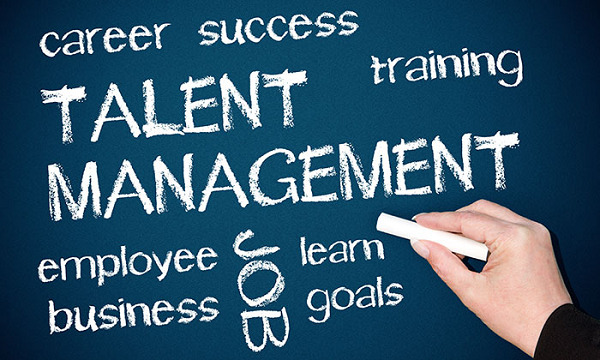 Talent management is a never-ending process that requires continuous effort. It is not restricted to recruiting the right and qualified candidates at the right time and in the right job. It also involves exploring the hidden and extraordinary qualities of the employees and developing and nurturing them to get an expected outcome. Retaining the best talent in an organization is as big a concern as hiring and metamorphosing them into loyal and dedicated workforce.